Afro-pop superstar and Baseline artist Skales has released his sophomore album titled ‘The Never Say Never Guy’ today, May 29, 2017. 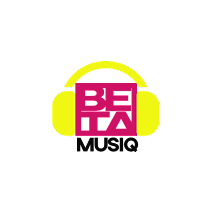 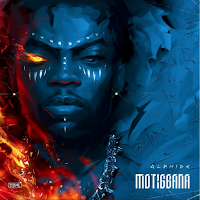 The singer who recently held a listening party at Industry Nite disclosed his album can be purchased on iTunes, Spotify, Google Play Stores, Deezer, from today, May 29, 2017. 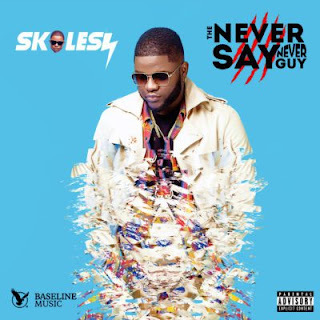 Skales’ The Never Say Never Guy’ album is a 19-track album featuring an array of A-list industry names, including world-famous American musical act PJ Morton of Maroon 5, American actor and singer Rotimi, Wande Coal, Burna Boy, Phyno, Lil Kesh, among others. 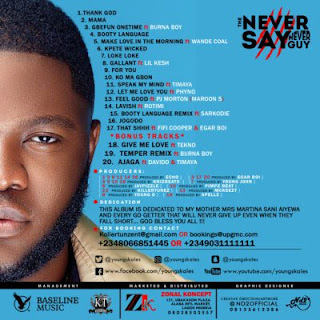 The Never Say Never Guy’ would mark a direct follow-up to Skales’ 2015 debut album ‘Man of the Year’ which was a commercial success.